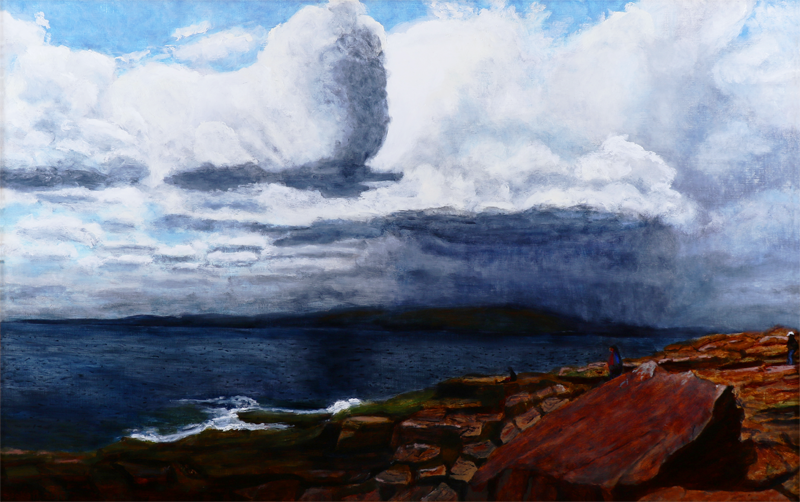 I stumbled upon a photograph of a Storm over Acadia and found it's creator, Tom Andrews, who gave me permission to do an oil study of his composition. I'd started preparing a 24 x 30 canvas and any way I cropped the reference completely spoiled the composition. I bought linen and heavy supports of the proper dimensions and began.